Posted March 14, 2017 in Community by Mike Blackburn. During my time as an Air Force recruiter I witnessed various reasons why our young men and women join the military. Many join for their desire to serve their country, some join for college benefits or to learn a skill, and some join to be a part of an elite team. Team was something that has stuck with me. 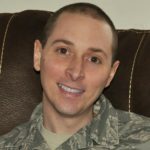 As I made the tough decision to separate from the Air Force, I talked to several people who made the transition before me. They all missed two things from their time serving: team and mission. It’s not like they were not on a team or did not have a mission, it was just different, they said. So I thought I would have to sacrifice being part of a team when I made my transition from the military to a civilian job. Thankfully life after the military has not been so different for me. The second I stepped into Casa del Mundo (DaVita’s headquarters in Denver, Colorado), for my interview I felt the team, the mission, and the core values at work. The mission and core values were on the walls and people talked about them. A lot. It was so apparent that this was a place that intentionally focused on team, the mission and the core values. From that moment on, I knew that this DaVita Village was something special, both for myself and my fellow veterans. And I’m not the only one who’s noticed. In 2013, DaVita won the Secretary of Defense Employer Support Freedom Award. It’s the highest recognition given by the U.S. Government to employers for their outstanding support of employees serving in the Guard and Reserve. We were the first kidney care provider to win this award. I have been with the Village for almost two years now. I have seen countless times where teammates have been there for each other and our patients when they are in need, both on duty and off. Recently, one of those things in life happened, and I was the teammate in need. A small emergency had our family scrambling just days before Christmas. My teammates came through in a big way and provided much needed support when my family needed it most. It honestly felt like I was back in the Air Force again, with a team I can depend on and a team that I know will support me and my family when we need it. I get that feeling a lot. You see, DaVita’s core values are not just words on a website. These values are lived every day by all DaVita teammates in our vision of Building the Greatest Healthcare Community the World Has Ever Seen. I am honored to be a part of such a great team. Have you experienced this great support system with your teammates? Please share your story in the comments! Mike served for 14 years in the Air Force, both as a Crew Chief on F-16s and as a recruiter. In 2015 Mike joined DaVita as the military recruiter where he works closely with People Services and other departments to drive and implement veteran recruiting throughout the DaVita Village. Thank you for your service, Mike! It’s great that you felt the DaVita culture immediately at your interview. Thanks for all the support with our Veterans as well as the Village. Thank you Mike for your service myself I’m am a Rotc cadet at my college for army and I work for Davita as a Pct you are a great man thank you. I’m glad that you were able to fit into the culture at DaVita. Also, I myself was an Air Force recruiter and I love it.